Lose 7 Pounds in 7-10 Days -- The Simple, Easy Way! Looking for a simple, healthy, and relatively easy way to lose 7 pounds in the next 7 to 10 days? Then you'll find this post extremely helpful! There are times in just about everyone's life where we simply need to slim down, burn some fat, and lose some pounds (and inches) really quickly. 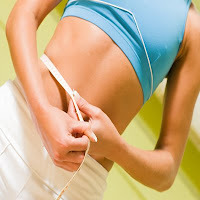 Below I'll outline a simple and proven plan for losing 7 lbs -- and possibly even more -- within the next week or so. Enjoy! Nothing is more important than focus when it comes to losing weight quickly. By focusing on your goal and taking consistent daily action you will definitely burn fat and lose pounds in a very short amount of time. Make a short list of 3-5 "must do" activities for each day. Some examples: do an intense 20 minute workout, avoid all sugar and processed carbs, drink 60 ounces of water, etc. Every time you accomplish everything on your list, draw a line through that day on your calendar. See how long you can get that line to go unbroken. After just 7 days, most of the things will become much easier and more "automatic". After just 21 days, you'll have developed some new permanent healthy habits! Take steps to boost your energy naturally. That will make it MUCH easier to lose the pounds. Get plenty of sleep, drink lots of water, avoid alcohol, and minimize your intake of simple sugars and processed foods for the time being. Start your day off right with a high-protein, high-fiber, low-starch breakfast. This will jumpstart your metabolism and help to minimize hunger and food cravings throughout the day. Focus on eggs, meats, and fresh fruits. You can eat a small amount of healthy starch in the form of oatmeal or quinoa if you wish. Your daily eating routine should revolve around several (up to 7) small, healthy snacks... not 2 or 3 big, high-calorie meals. This will keep your energy high, your metabolism boosted, and your hunger/appetite suppressed. Focus on lean proteins, vegetables, raw fruits, nuts, seeds, and healthy fats (e.g. virgin olive oil, natural peanut butter, avocado, etc.). Almost all processed foods are detrimental to your fat loss success. If you really want to lose 7 pounds in the next 7-10 days you're going to have to minimize -- or even cut out completely -- the processed foods in your diet. Anything with refined sugars and/or flours is an absolute no-no. Even breads, cereals, pastas, and other grain products (even whole-grain varieties) should be kept to a minimum in order to help reduce your calorie intake while helping to keep blood sugar and insulin levels stable (vital for fast fat loss). Do a brief, higher-intensity workout based around intervals, 5 to 6 days a week. Do both cardio exercise and full-body resistance training. Interval-based exercise is a proven fat-burner and metabolism-booster. The best part: it's not as boring nor as likely to "burn you out" as typical long, boring, and painful cardio workouts (think jogging on a treadmill for an hour). So there you go. A simple, healthy, safe, and relatively easy way to lose 7 pounds in 7-10 days. Give these proven techniques a try and you could have a leaner, fitter, better-looking body in less than 2 weeks! Want to learn everything you need to know to burn fat and lose pounds in a fast, healthy way? Then click here now!